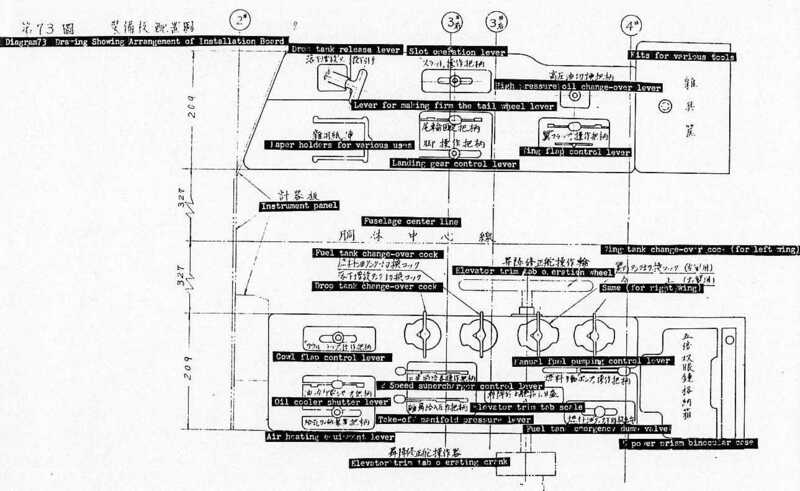 Some time back, in view of the impending release of Hasegawa’s model of a Nakajima C6M1, a suggestion was made for the sharing of information on this plane. I have there put together a brief digest of what I have been able to glean from the following sources at my disposal. -A red-enameled button is located just to the rear of the outer wing refueling port. -A red-enameled button is located next to the under-wing-mooring fitting. -The magnesium alloy center left and right instrument panels in the pilot’s cockpit are “covered with dark green crackle enamel”. -The magnesium alloy instrument panel and the instrument board in the observer’s cockpit are “covered with dark green crackle enamel”. Robert Mikesh’s Japanese Aircraft Interiors 1940-1945 (2000) has addition information on the cockpit interior color. He states FS 34082 is a reasonably close match to the green found in the cockpit interior of the Myrt in the NASM collection. A photo of the front cockpit well of an early C6N1 in both Mikesh and FAOW 11 shows no contrast between the instrument panel and the sidewalls of the cockpit so it may be possible to assume that the dark green crackle enamel was of the same shade. Mikesh’s volume does have a number of excellent color photos of the Myrt in the NASM collection. This Myrt is, however, a C6M1-S, which was the night-fighter version of this airplane equipped with an oblique firing 30mm mounted in the center cockpit. These photos thus are of limited value in depicting the reconnaissance versions of the Myrt. 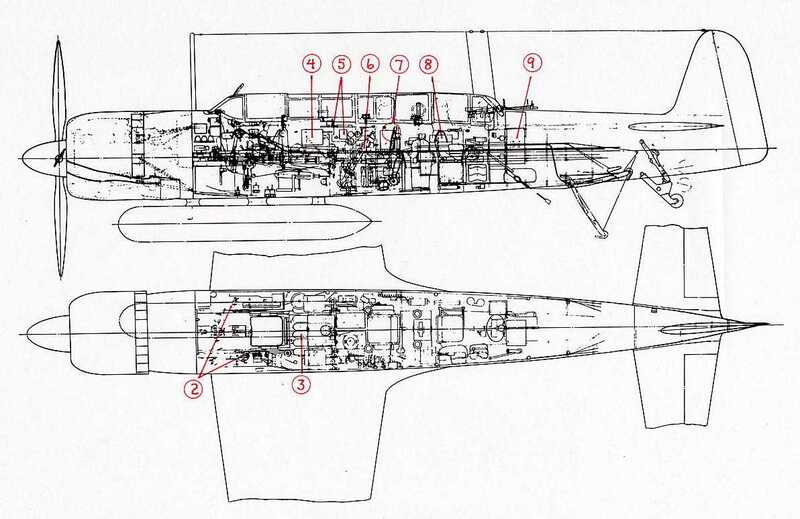 Mikesh includes three illustrations that point out three different instrument panels that were found on early and late production C6N1s and the C6N1-S. 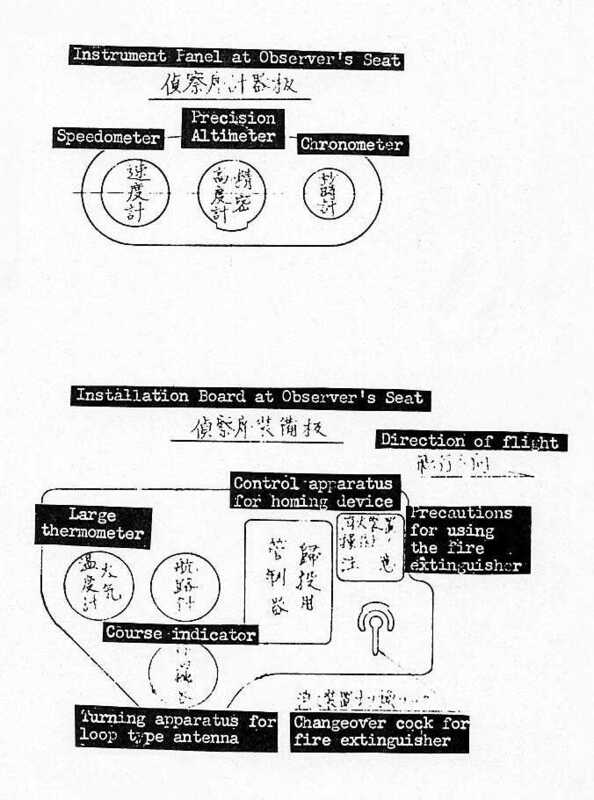 It is the first of these three versions of instrument panel that can be seen in a photo included in the translated C6N Service Manual. (Ill. 3) This photo also illustrates the location, just above the rack of oxygen bottles, of the mounting for the Type 1 Ku 3 Radio. The uprights supporting this mounting can be seen to the inside of the two outermost bottles. The same photo also shows the positioning of the small instrument panel (shown in the lower part of Ill. 5) on the right wall of the center cockpit. An interesting comparison can be made with the similar photo that appears on page 55 of FAOW 11 Carrier Recon. Plane “Saiun” (1985). Here the radio rack has been converted, according to the contemporary sign, to a flare rack. The oxygen bottle rack is empty and four pressure bottles are now mounted on the right fuselage wall. Presumably this was a special conversion, but it does raise the question of what the standard appearance of the observer’s cockpit was. A comment should be made on the drawing of the C6M1 in the Service Manual and reproduced in the inside of the back cover of FAOW 11. 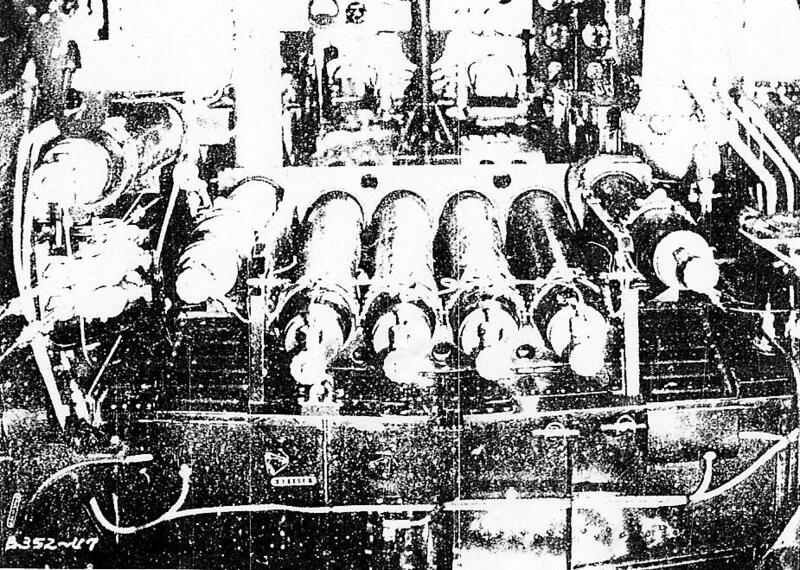 (Ill. 1) This drawing depicts the very early Myrt that was powered by the Homare 11 engine turning a four-bladed propeller. The photos included with this article should be referenced in conjunction with this drawing. All images are from the Service Manual unless otherwise indicated. 1. Drawing of very early C6N1. 2. This is the translation of the key to the pilot’s cockpit side consoles. 3. The oxygen bottles and radio rack as have already been described. 4. 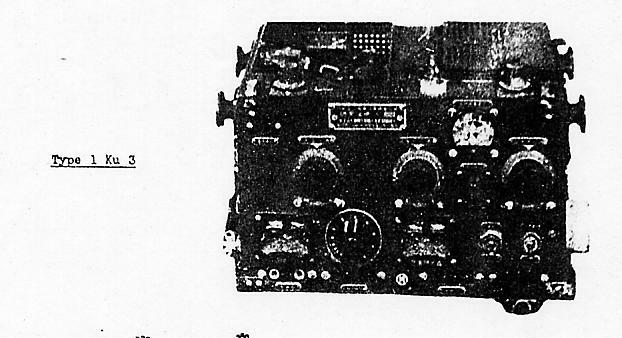 The Type 1 Ku 3 radio installed in the mounting in the front of the observer’s cockpit. This radio was 8 x 14 x 6 inches in size. The receiver was mounted on top of the transmitter. Illustration from TAIC Manual No. 1, Japanese Aircraft Performance and Characteristics (1945). 5. 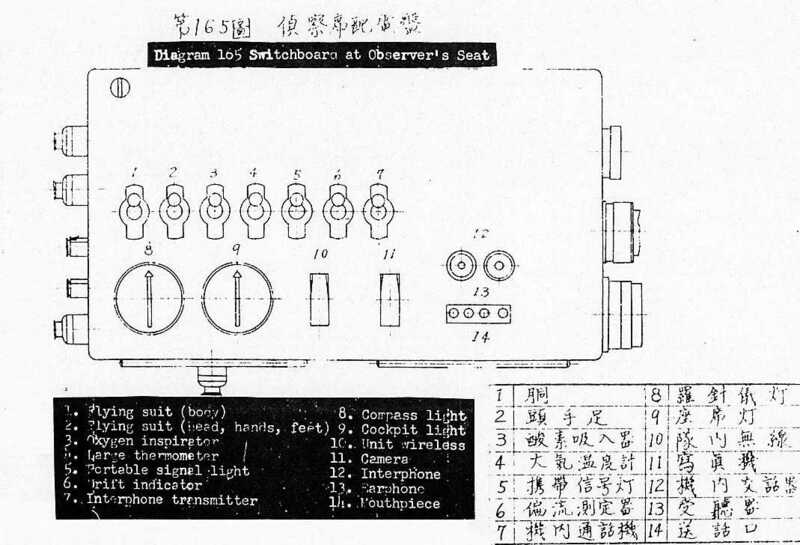 The instrument panel illustrated at the top of this image was installed in the front of the observer’s cockpit. The lower panel was positioned on the right side of the fuselage in the observer’s cockpit. 6. 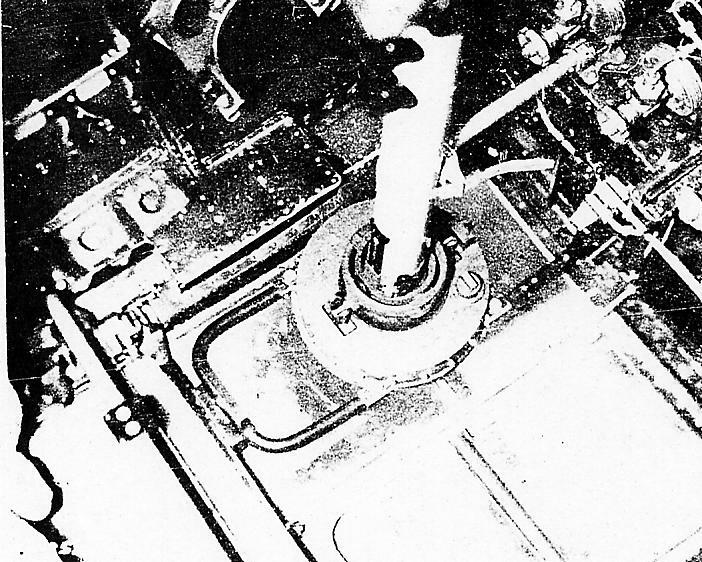 The drift indicator was placed on the floor of the Observer’s cockpit. 7. 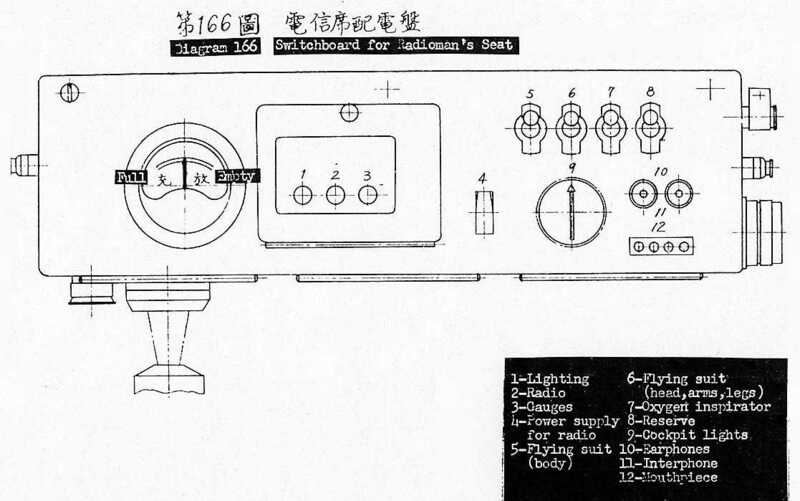 The switchboard depicted in the Maintenance Manual is not shown on the drawing of the early C6N1. It would appear that when the side window shown in the drawing was eliminated this electrical panel was installed in the top portion of the windows former location. 8. The right fuselage wall of the radioman’s cockpit included this switchboard. This panel can also be seen on page 294 of Mikesh. 9. 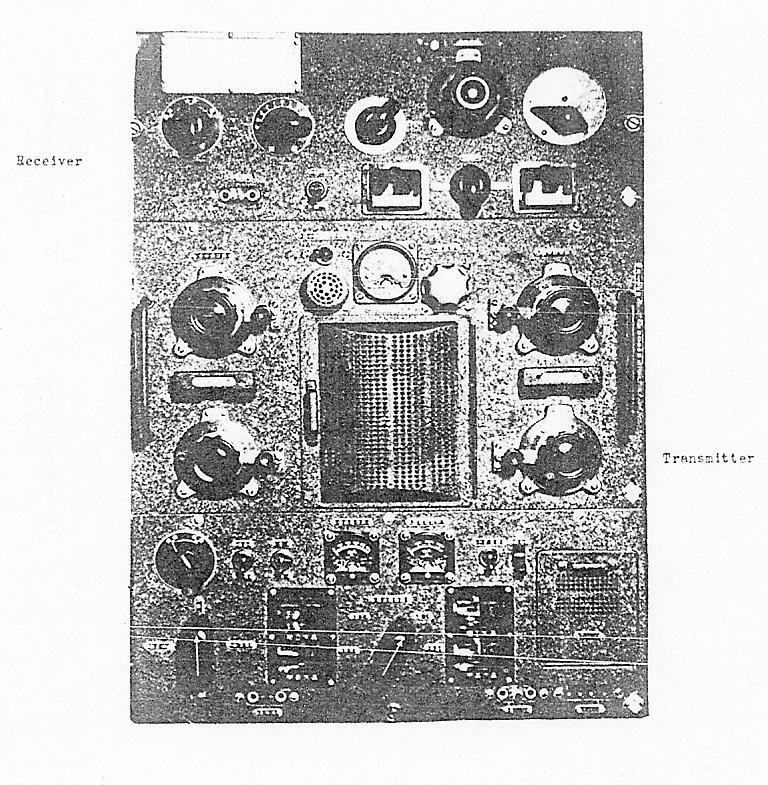 The Type 3 Ku 3 radio was installed in the rear of the radioman’ cockpit. This radio was 21 x 15 x 12 inches in size. Illustration from TAIC Report #44, Japanese Airborne Radio-Radar (1945).